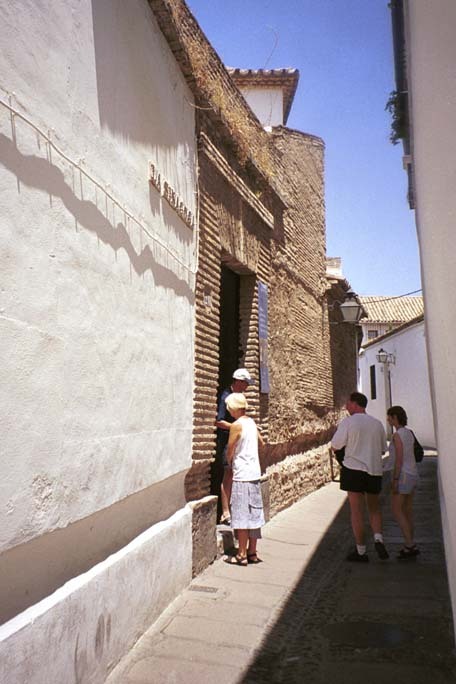 La Sinagoga is in the Jewish Quarter of Cordoba. 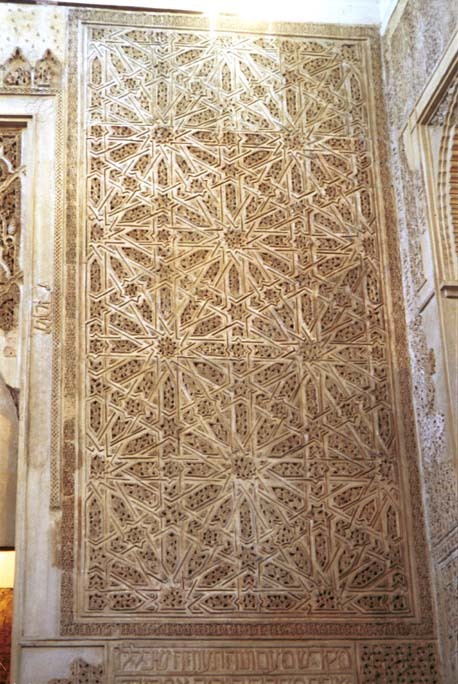 It was the Synagogue of the Jewish community of mideval Cordoba and was built in 1315. It was in use until the expulsion of the Jews. Restoration of the building began in the 19th century. The entrance to La Sinagoga is through this doorway through a courtyard. 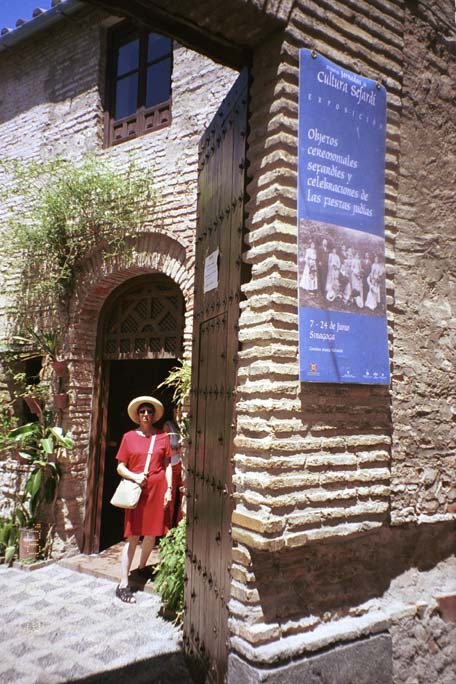 Lynne is at the threshold of La Sinagoga. You enter La Sinagoga through a shallow foyer. On the left in the foyer is a stairway to the balcony reserved for women. Ahead, you pass into the sanctuary. This wall is on the left of the sanctuary and is the back of the room. This alcove is to the right of the entrance to the sanctuary. 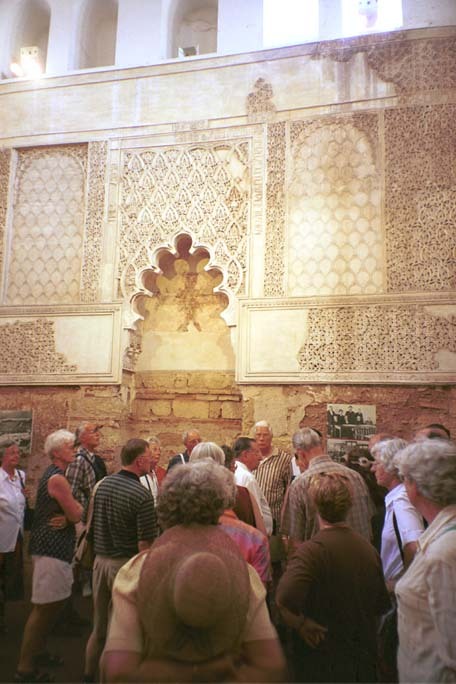 It is where the Torah was kept when La Sinagoga was in use. 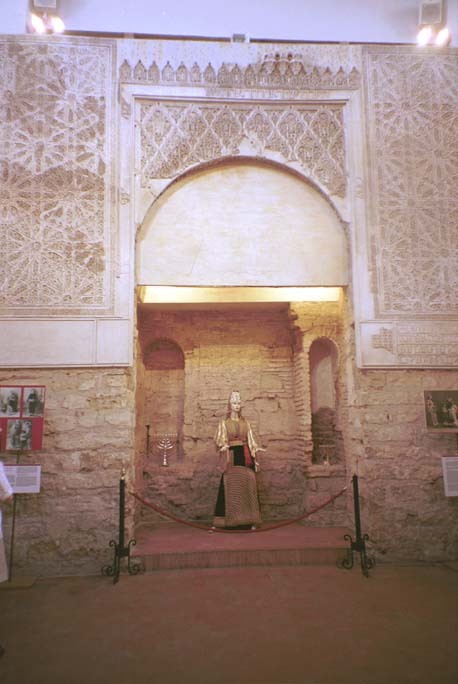 It is used now to display a replica of a bride's costume. This is the wall above and to the right in the previous view. This is a detail of the panel shown above. In is in Hebrew script. This is the view toward the entrance to La Singoga. 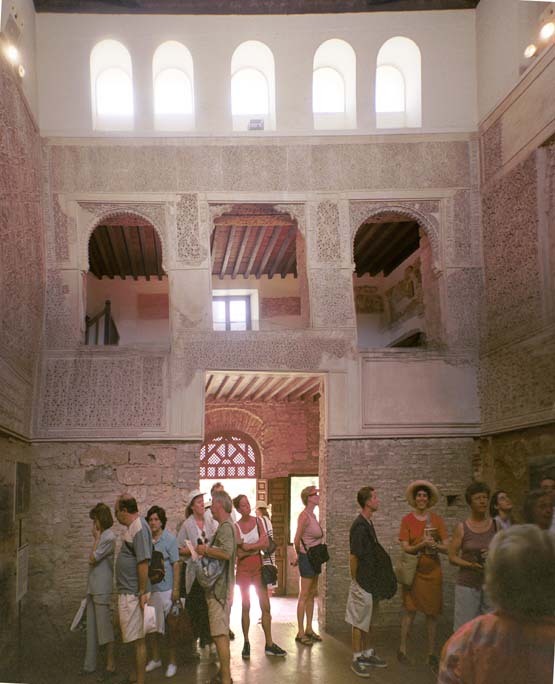 Below is the foyer; above is the balcony reserved for women.